Philip Seymour Hoffman’s debut as a privileged prep-school adolescent in A Scent of a Woman was a far cry from the brilliance seen in his performances today – yet it was the exact stepping-stone he needed. The bear of a man who appeared to have never ironed his shirts and was as disheveled as he could manage to get away with would metamorphose into a range of characters and voices with a stubborn determination that enabled him to become the character in its all. We would forget the clumsy has-been actor in Along comes Polly as we watched his masterful depiction of a villainous arms dealer in Mission Impossible 3; he was the disturbed pervert in Happiness who masturbated during phone calls with strangers; he was a doleful groupie in Boogie Nights, sporting tight denim shorts. We watched in awe, as Philip was able to broach every kind of character, and we just know it would not have been the same movie without him. He then proved he could muster true words of impactful wisdom even in a small role as Lester Bangs of Almost Famous, the influential music critic who no one really knew, yet embraced. His talents were soon recognised as he won widespread acclaim for the portrayal of the writer Truman Capote in Capote. His performance rightfully received multiple accolades including the Academy Award for Best Actor. This role suited Hoffman in ways that many were unaware of; for he was exactly where the writer Truman Capote was in his life before he wrote “In Cold Blood.” At this point, everyone respected him, but his true potential was yet to be recognized. Capote was a man of many contradictions, much like Hoffman himself; he had a charismatic way about him as he seduced his audience, yet he was never able to fit in due to his short stature and almost childish voice. He was competitive, ruthless and insecure, and did everything he could to get what he needed regardless of who stood in his path. Charlie Wilson’s War gave the actor a chance to play a comedic role, which led to his nomination at the Golden Globe Awards. He played Gust Avrakotos, a CIA officer who helps Congressman Charlie Wilson support a covert war in Afghanistan, and tactfully embraced the broken character yet again. Things took a turn when he was cast as Father Brendan Flynn in Doubt, a priest accused of sexually abusing a student. His subtle gestures towards a student that would seem wrong were always in battle with his unwavering determination of not having done anything inappropriate, which baffled the audience, and left them in conflict about loving and hating the character. In 2011, he played opposite Brad Pitt in Moneyball as Oakland A’s manager Art Howe which was enough of a calling for all non-baseball fans. Even though Art Howe was not very thrilled about his antagonistic portrayal, the rest were unduly impressed. 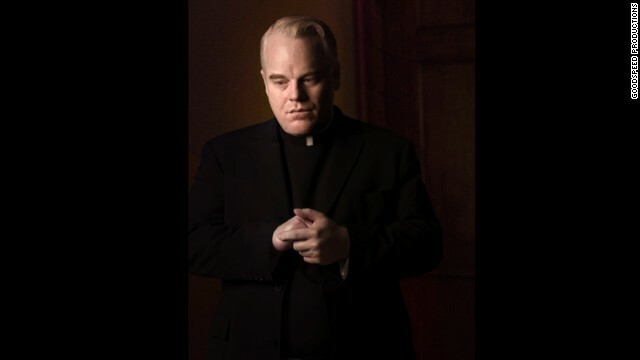 The following year, Hoffman starred in The Master, in which he portrayed the leader of a nascent Scientology-type movement in post-war America. His commanding and utterly charming persona was capable of completely captivating the character played by Joaquin Phoenix, a lost retired soldier on the path to finding himself. Hoffman took the audience along that path allowing them to discover that perfection was flawed in many ways. His last performance was in 2013, where he portrayed Plutarch Heavensbee in The Hunger Games: Catching Fire. He treaded the lines of ally and rival so closely that audiences were distrusting of him till the last second. At the time of his death, Hoffman was filming The Hunger Games: Mockingjay, the final Hunger Games movie, and had already completed the majority of his scenes.